With the opening of such a large site, we needed to get something to decorate our reception area all year round.Fortunately, we happened to stumble across an incredible reception ornament. 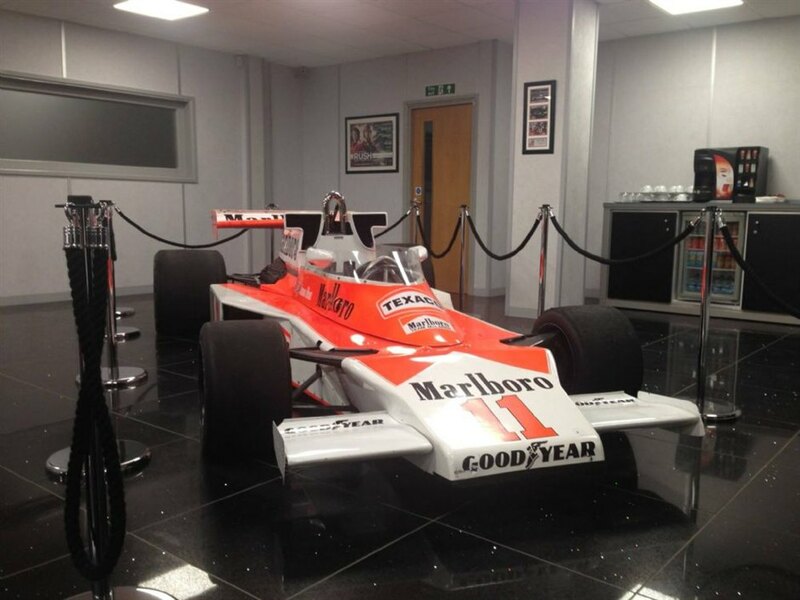 The McLaren Formula 1 replica race car was built for, and starred in the 2013 film 'RUSH' produced and directed by Hollywood director Ron Howard. It's a fantastically told tale during the 1970's of not only the rivalry between James Hunt and Niki Lauda, but of the fire and passions that drive people to their mental and physical limits. Ron Howard has constructed a vivid, visceral and compelling account of one of Formula 1's greatest chapters.RUSH had its world premier in London's Leicester Square on Monday 2nd Spetember 2013 - the very same day as McLarens 50th anniversary. 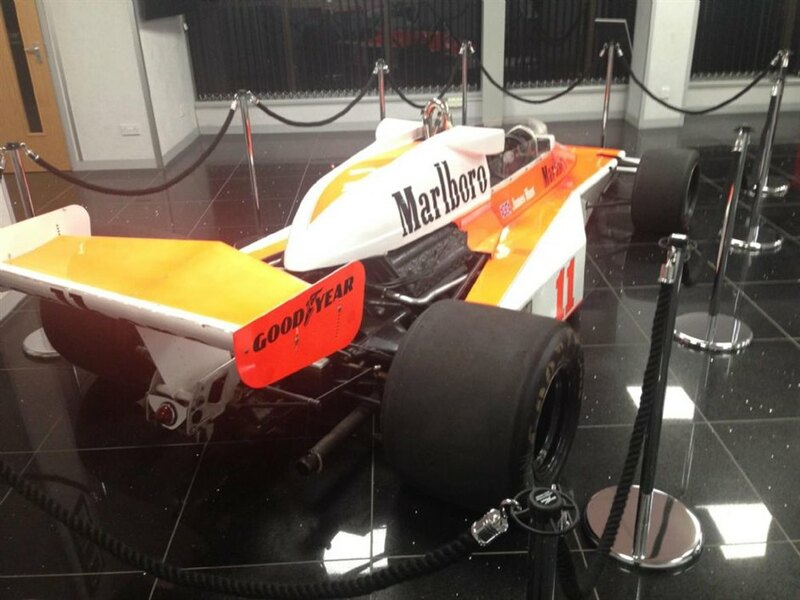 Lets remember the McLaren 23 at its best; a muscular little terrier of a car that could, and did, out-perform the best on many occaisions, and which carried two of the most legendary and charismatic champions of the sport to two incredible world titles. For further information on the RUSH car, please look on youtube.